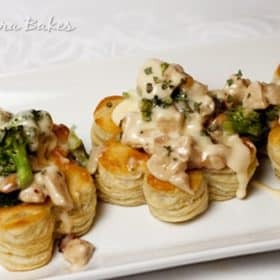 Crunchy, buttery cashews, tender chicken and crisp broccoli surrounded by a luscious Gouda Cream Sauce served in flaky, melt-in-your mouth puff pastry shells. An elegant dinner that looks difficult to make, but it’s really pretty simple and oh so delicious! Vols-au-Vent, pronounced voool-oh-vaw, are little puff pastry shells you can fill with sweet or savory fillings. I made dinner size shells and filled them with creamy cashew chicken. The shells are easy to make with frozen puff pastry sheets available at most supermarkets. You can make them round, but I used a flower cookie cutter to give them a pretty ruffled edge. 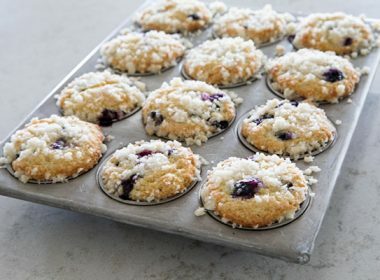 I created this recipe for the Cache Valley® Signature Recipe Contest! and it was chosen as one of two $1,000 winners! Thanks Cache Valley! So glad you loved this recipe as much as my family. I can’t say enough good things about Cache Valley products, especially their new Gouda cheese. It melts like a dream and adds a creamy, buttery, richness to the sauce. It would be fabulous in your favorite mac and cheese recipe, or melted over your favorite sandwich. Thaw puff pastry sheets according to package directions. Preheat oven to 400º. Line a baking sheet with parchment paper and set aside. On a lightly floured surface, roll each sheet of dough into a rectangle approximately 11″x 8″. 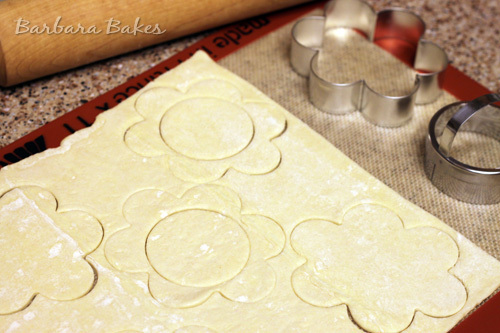 Using a 3.5″ round cookie cutter cut 6 large circles in each sheet. Inside 6 of the circles, using a 2.5″ round cookie cutter, cut a hole in the middle to make rings. The rings will become the sides of the vols-au-vent and the solid rounds will be the bottoms. Mix together egg and tablespoon of water to create an egg wash. Put the solid bottom rounds on baking sheet. Brush the bottom rounds lightly with egg wash.
Top each bottom round with a ring and press gently into place. Brush the top of the rings lightly with egg wash. Prick the center of the shells with a fork. Place shells in the refrigerator until ready to bake. In large skillet, heat 1 tablespoon butter and cook cashews until lightly toasted, 2 to 3 minutes. Remove cashews from pan and set aside. Melt remaining 2 tablespoons butter in the skillet. Add chicken and onions, sauté stirring occasionally, until chicken is cooked through and onions are tender. Add water, broccoli, and rosemary. 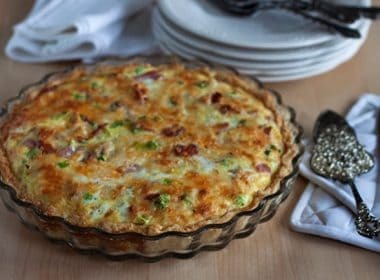 Cover and cook until broccoli is tender, 4 to 6 minutes. Remove from heat. Add toasted cashews and 1/2 cup Gouda Cream Sauce. Stir to combine. Make puff pastry shells and put in the refrigerator to chill. Prepare Gouda Cream Sauce and keep warm on low heat. Bake shells 15–20 minutes until they have risen and are golden brown. Remove from the oven and prick the center of the shells to deflate center. 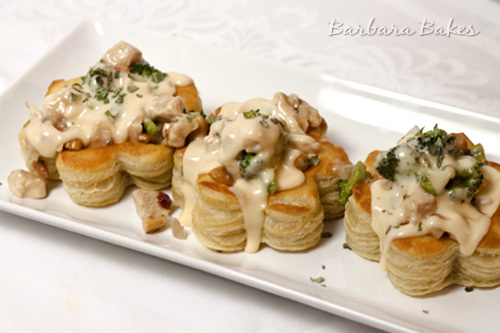 Spoon Creamy Cashew Chicken into shells and drizzle with remaining Gouda Cream Sauce. Visit Cache Valley’s Facebook page to see the top 20 winning recipes. These sound and look wonderful. This brand is not available where I live. Can you please provide either a volume or a weight for the amount of gouda cheese required? Thanks! It would be approximately 4 oz. of thinly sliced gouda cheese. 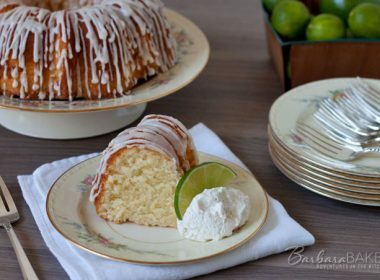 Fabulous recipe, I love the flower shape! Congrats on the win, well deserved! Congrats Barbara! These sound amazing and they look beautiful and kinda fancy:-). Every component of this recipe sounds unique and flavorful! Hope you’re having a fabulous time & Happy festive season to you, Barbara. Enjoy & have loads of fun. 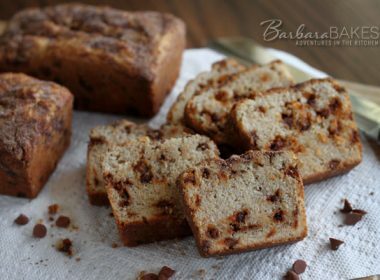 Mmmm Barbara, these are fabulous! Where do I start? 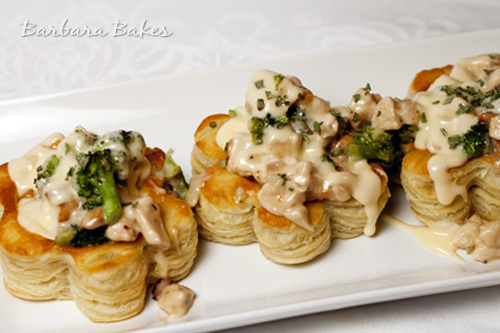 Love the addition of cashews and broccoli to the normal vol-au-vent filling. And the gouda cheese sauce puts it over the top! They are beautiful! Your recipe so deserved to win! Congratulations! 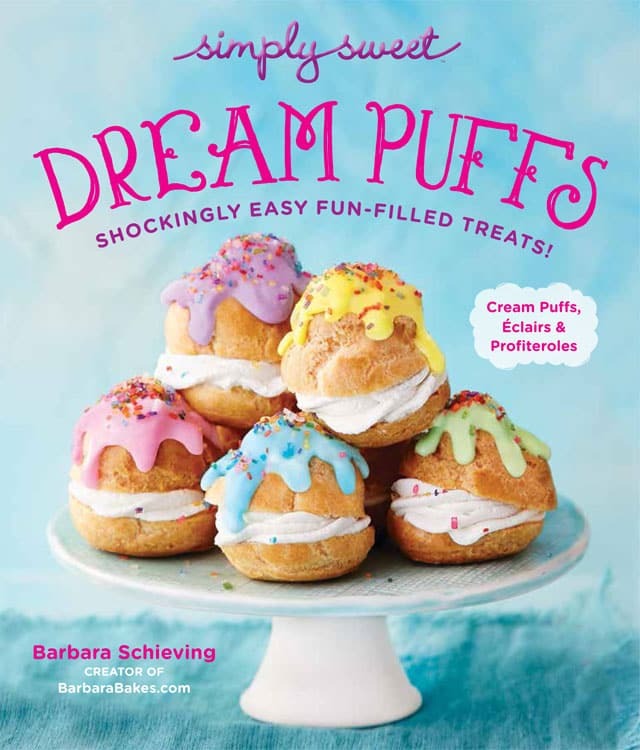 Congratulations Barbara! What a well deserved win.I love cashews, and they must be delicious paired with the chicken. Congratulations! This is a wonderful recipe (and gorgeous, I might add). They have New Year’s or Oscar night written all over them. Oh we made these in school and I forgot about how good they were! Thanks, and i love the flower shape, makes if way prettier. mmmm, you had me at puff pastry, delicious! Congratulations on winning! I love the flower shapes! 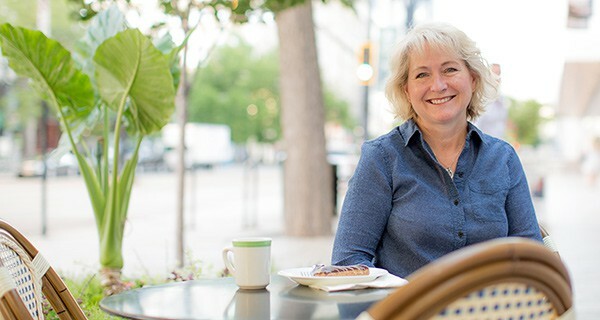 Congratulations on the win, Barbara. This recipe certainly deserves it! 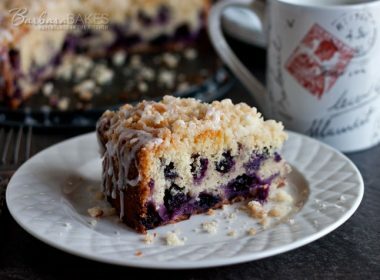 Really an elegant and delicious dish! Congratulations, Barbara. No one works harder or deserves it more. What a beautiful entree. Congratulations! Those little bites look super.